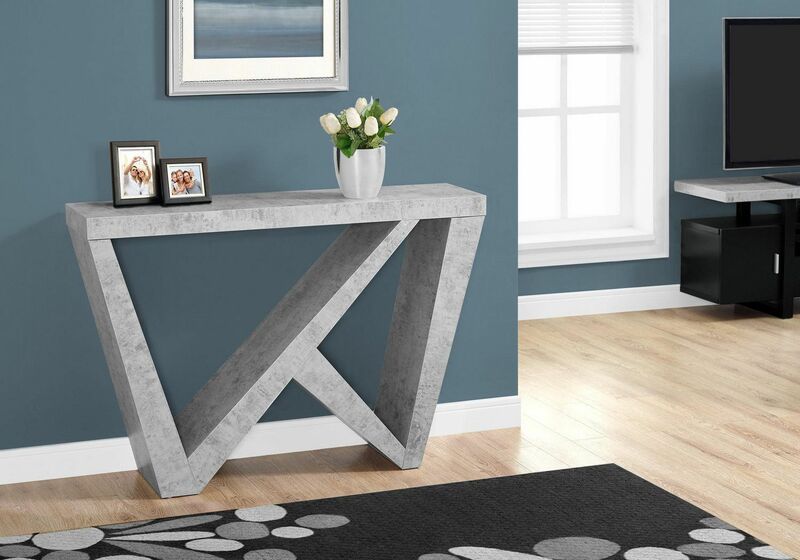 Make a bold statement in your living room or hallway with this 48" long grey cement-look accent hall console table. 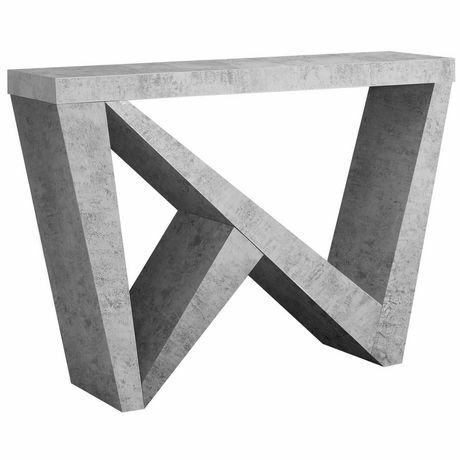 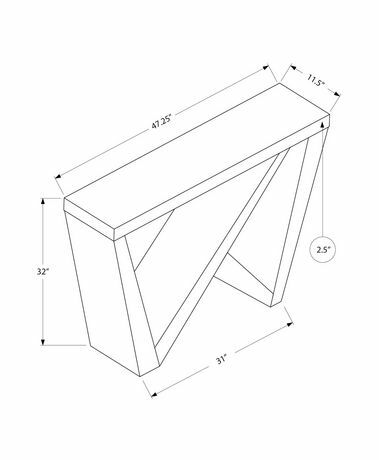 Featuring a thick panel design, asymmetrical lines and an edgy modern appeal this table will surely make an eye catching addition to your living space. Perfect for displaying pictures, decorative pieces or books this console table is the ideal combination of fashion and function.